Put into operation in 1980s, the performance of the parabolic trough solar thermal system has been greatly improved during the past 20 years. It is now the most proven large-scale power system with the lowest cost. About 450MW trough systems have so far been put into operation with 400MW projects still under construction and nearly 7GW projects under development. 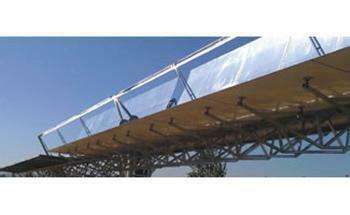 The parabolic trough collector of the parabolic trough solar thermal system is a kind of device that collects solar energy by means of linear focus on sunlight. 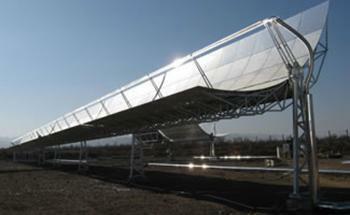 It tracks the sun and reflects the sunlight onto the receiver tubes by the trough-shaped parabolic mirrors. The heat carrier inside the tubes then heat the water into steam and provide thermal energy to conventional thermal power stations or directly drive turbines to produce electricity. Himin trough collector adopted in the parabolic trough solar thermal system is made up of a 4-meter-long receiver tube and a trough solar concentrator that is jointly developed by Himin and CAS Institute of Electrical Engineering. 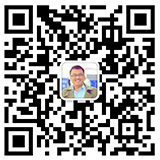 The core technologies are all of our independent intellectual property right. The collector has already been used in the demonstration plant with solar fields of 700 square meters in Yanqing, Beijing and its temperature amounts to 400℃.